Eco-Delta SX- Call to Customize to an E-Trike. 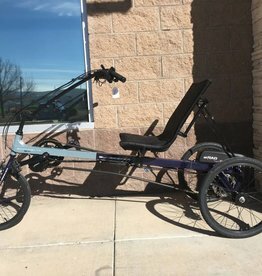 This is our most popular Adult Trike to Customize. We have added motors, an awning, set up for client with MS, mobility issues, prosthetics and more. Let us custom build for your personal needs.